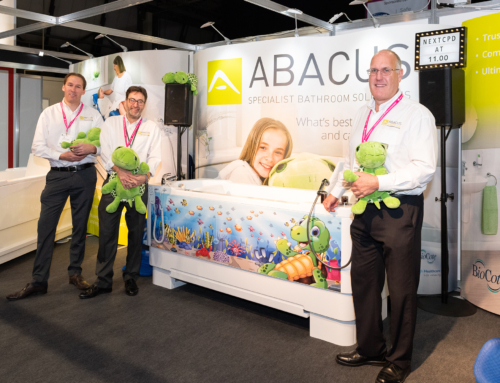 In association with Abacus Specialist Bathroom Solutions, Adam Ferry, Occupational Therapist, will be delivering an educational seminar regarding assisted bathing and equipment funding at OTAC Exeter. Occupational Therapy Adaptation Conference, Exeter Racecourse, 1st May 2019. Stand 1. Adam Ferry, Occupational Therapist, The OT Service. Theatre 1. 11:00 – 11:30. This seminar highlights clinical and legislative evidence to support bath justification and funding. 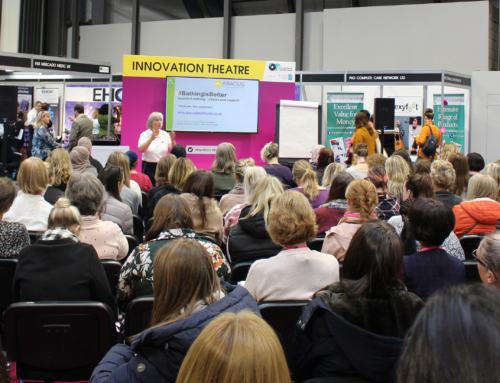 Delegates will be able to discuss the wellbeing-related and safety benefits of bathing verses adapted showering, as well as the benefits to OTs of prescribing a specialist bath for clients. This seminar is part of the ongoing commitment from Abacus to provide educational content and training for healthcare professionals. With over 10 years of experience and a respected reputation in the private sector, Adam shares the Abacus ethos which focuses on ensuring all environments are truly accessible. Adam works alongside Kate Sheehan at The OT Service who partner with Abacus to provide their ‘Lunch and Learn’ and ‘CPD Assisted Bathing Workshops’ across the UK. These free theoretical and practical sessions provide assisted bathing education and training for carers, OTs and moving and handling specialists. From a web point of view, this educational programme is also linked to the Abacus #BathingIsBetter social media campaign. This aims to empower families and OTs with legislative information that justifies grant applications to local authorities for accessible baths. All too often funding is denied for accessible baths in favour of adapted showering which may not provide an appropriate solution. By leveraging the factual and objective information provided by Abacus, grant applications can be more successful, resulting in better care for disabled children and adults. 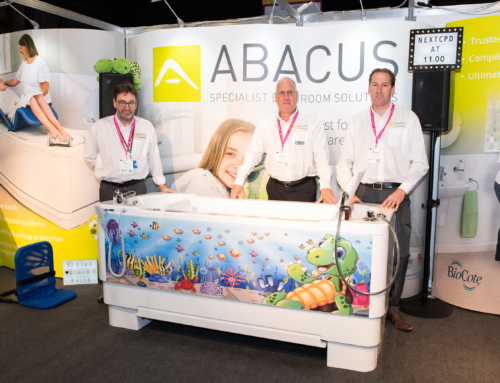 In terms of product at OTAC, Abacus representatives will be demonstrating the new Gemini 2000 – a larger and longer version of its flagship bath which provides future-proofed bathing for disabled children and adults. It includes pioneering BioCote antimicrobial technology which cannot be wiped or worn away – hence providing 99.9% 24/7 protection against harmful microbes such as Influenza H1N1, E.coli, Salmonella and antibiotic resistant MRSA.